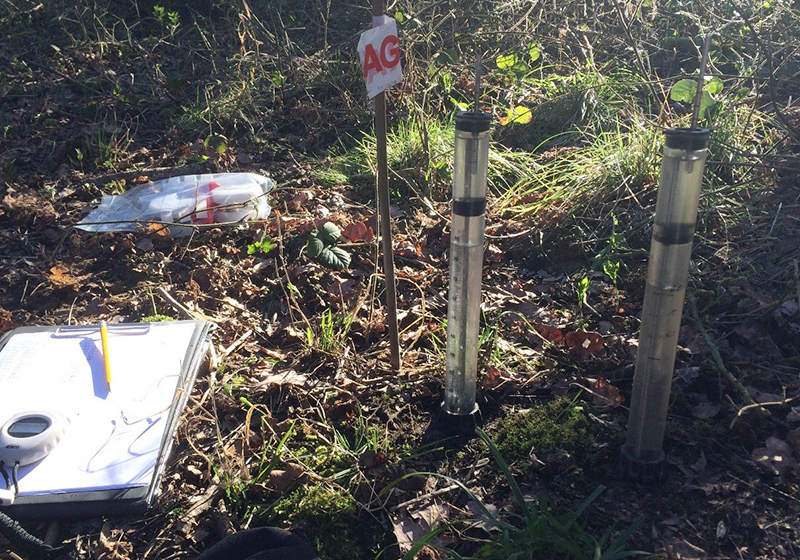 Soil sampling in an ancient part of the woods. Spring has arrived at Wytham Woods, a little woodland in Oxfordshire. It’s still February, but record high temperatures are making the news. Wytham, a village about three miles from Oxford, was first recorded around AD 975, its name deriving from the Old English for a homestead or village in a river-bend. The woods lie on the western edge of the village and cover around 1000 acres. Now owned by the University of Oxford, they are one of the most researched woodlands in the world. The woods are exceptionally rich in flora and fauna, with more than 500 species of plants, a wealth of woodland habitats, and 800 species of butterflies and moths. The forested area consists of ancient semi-natural woodland, secondary woodland, and modern plantations. It’s likely that the ancient woodland has never been cleared and there has been continuity of tree cover since the prehistoric 'wild wood’ dating back to the last ice age. Secondary woodland has grown up naturally in the last 200 years after the abandonment of wood pasture, pasture or cultivation, with some dating back to the seventeenth century. The oldest remaining plantations are beeches; some date back approximately 200 years, but most of the plantations are from the 1950s and 1960s. 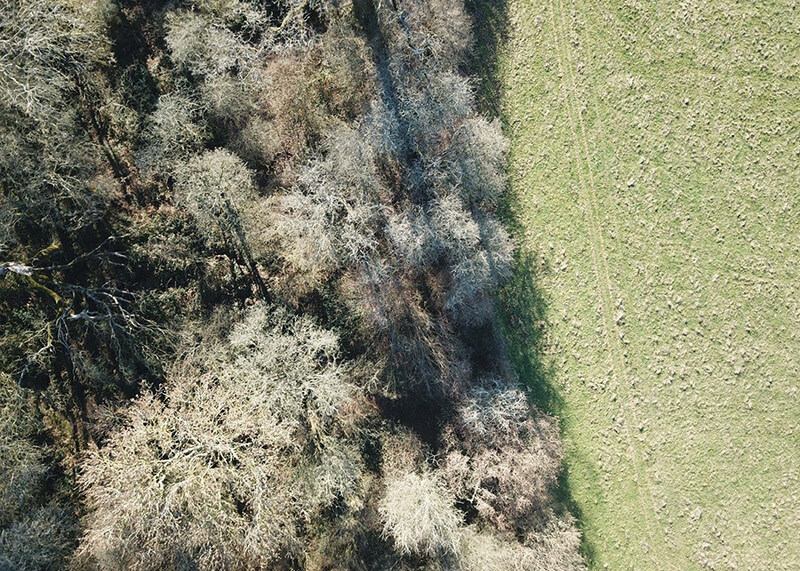 Our quest to shed light in the distribution of carbon down to one metre soil depth brought us to the ancient semi-natural woodland in Wytham Woods. This part of the woods is separated from the sheep-grazed grassland by an eight-foot deer fence to keep grazer disturbance in the woods to a minimum. We started working in the grassland and marked our nine random locations for sampling. The soil was heavy clay and held a big surprise: instead of compacting the soil with the heavy soil coring equipment, the soil cores were longer than expected, by around 40 per cent! It gave us some headache (and not just because of the sun): clays are known to shrink or swell depending on their water content. It’s likely that during the winter months, when soil water evaporation is low, water is constantly channelled to the lower parts of the soil. This caused the subsoil to “swell”, building up pressure. When we cored into the subsoil, we likely created a “pressure-relief” point for the soil, causing soil core expansion. The soils in the ancient wood were easier to sample, but more difficult to get to. Huge accumulations of brambles had their thorns out, ready to defend their territory. First sightings of stinging nettles were recorded and the woodland understory was well on its way. This was a very different scenario compared to the Welsh flora we’d encountered which was still hibernating, illustrating the climatic differences that can be found between two places only 200 miles apart. Wytham Woods is also one of the founding sites of the Environmental Change Network (ECN), co-ordinated by the Centre for Ecology & Hydrology. ECN is the UK's long-term, integrated environmental monitoring and research programme. ECN monitoring at Wytham began in 1992 focusing on understanding and predicting the effects of climate change on woodland and grassland systems. Today, Wytham Woods represents a long-term environmental research platform, where the combination of site access and local knowledge (provided through the site managers, my CEH colleagues Stefanie Schäfer and Denise Pallett), together with access to long term datasets, provide an excellent opportunity to develop experimental work into woodland ecosystem dynamics.